Registration is now open for the 2019 Sheffield Half Marathon and we are looking for participants who would like to fundraise for Endeavour. 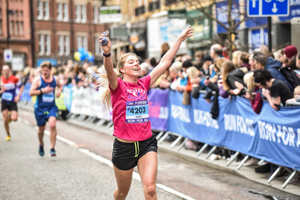 A major event in the UK's running calendar, the Sheffield Half Marathon attracts thousands of runners of all abilities and spectators to the city's streets and raises many thousands of pounds for good causes. The race is on Sunday 14 April - contact us on fundraising@endeavour.org.uk or 07793 488871 to get involved.